I can think of no better way to spend a Thursday evening than at a wedding! 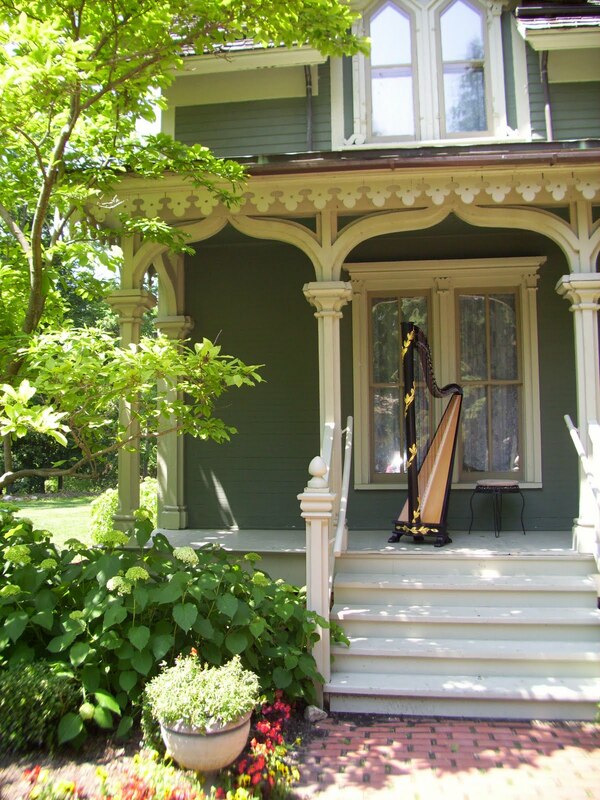 It’s even better if the ceremony is at the Castle in the Country Bed & Breakfast in Allegan, Michigan. 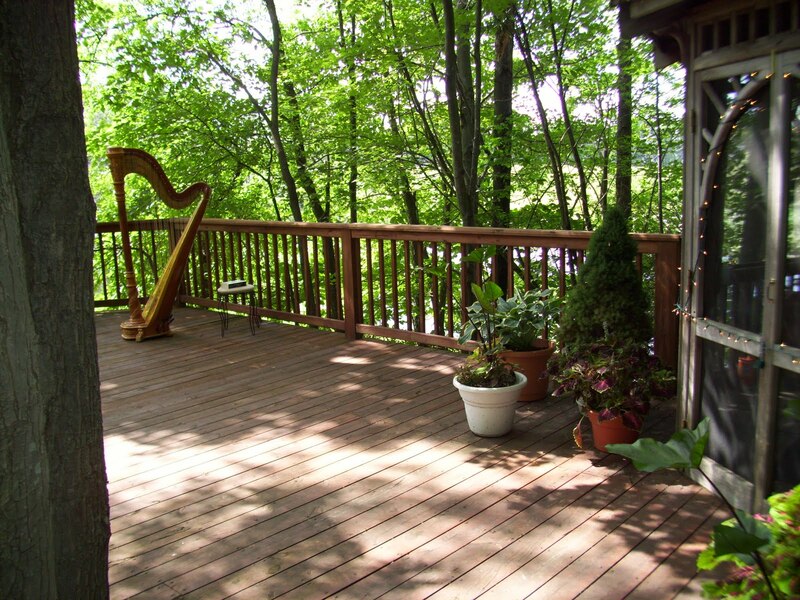 It’s a peaceful setting, far away from crowds and busy roads. Ceremonies are held on a deck overlooking a lake. 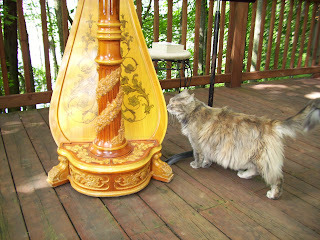 The sounds of birds and bullfrogs goes well with the harp! 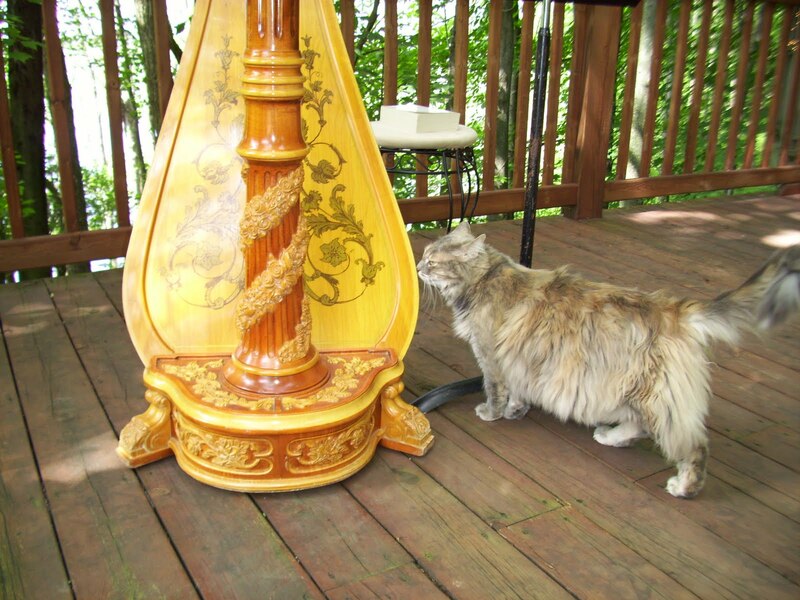 This may have taken the top spot as my favorite wedding venue, because of the welcoming committee who “helped” me set up the harp. That’s Dickens’ “David Copperfield” sitting on my bench. I’ve got to get some lighter reading material for when I arrive at the venue too early! 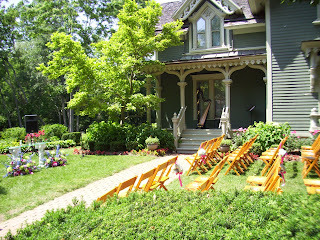 The next day, I was off to Northville, MI, for a wedding at the Mill Race Village. 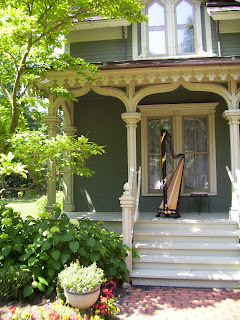 They had me set up the harp on the porch of a Victorian home, and the guests were seated on the lawn. Instead of flowers, the bridesmaids carried floral-print purses that matched their dresses. Beautiful and practical! They chose traditional music for the processionals (“Jesu, Joy of Man’s Desiring” for the bridal party; “Canon in D” for the bride), and then went with contemporary for the recessional (“Hymne” by Vangelis). 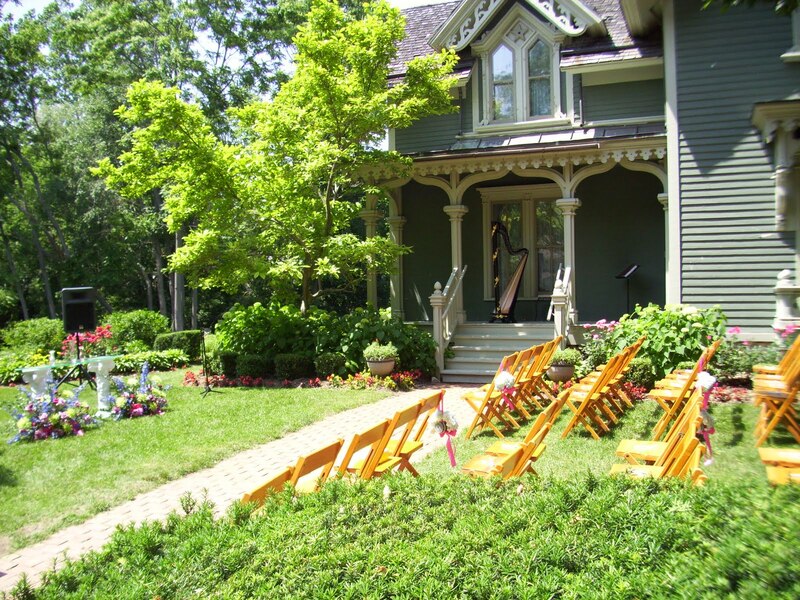 This entry was posted in Outdoor Wedding Ceremonies, Weddings and tagged allegan, castle in the country, ceremony, classic, eastern michigan, laurel leaf, mill race village, northville, wedding, west central michigan. Bookmark the permalink.